Ancient Greek musical practice has been a constant, and often almost obsessive, presence in western compositional thought and practice. "Re-imaging" the performance of Greek Drama has provided a spark igniting the invention of European Opera and reinvigorating it at intervals in forms only distantly related to their origins, from Monteverdi to Gluck to Berlioz and Wagner and to such disparate later figures as Richard Strauss, Carl Orff or Harry Partch. On the other hand, modern poets look comfortably back to Homer and Hesiod or Sappho and Archilochus, but they look back to them as producers of words, usually neglecting the fact that those words were originally performed with tones and rhythms by singing voices. There has been particularly intense work in the past two decades or so on Ancient Greek music, both its theory and practice. We have a small corpus of surviving notated music, representing a range of repertoires and lively controversy has followed its interpretation. The bulk of existing Ancient Greek music, however, is represented by epic, lyric, and dramatic texts without musical pitch notation. This does not mean that the music has been lost altogether, however, as we know the metres of these texts and much of the rhythmic detail within these metres can be reconstructed from the patterns of long and short quantities inherent in the language. Ancient Greek was also a language with pitch accents, and these may well have played a role in the composition of the melodies (although there is also considerable evidence that poets and dramatists also composed melodies that went against these pitch accents, with both pitch and rhythmic usage contrary to natural contours presumably used for the striking effect they would create.) The composer and scholar Douglas Leedy (who goes by the name Bhisma Xenotechnites) has summarized his own work in re-imagining the practice in a monograph on Singing Ancient Greek, which has now been made available on the eScholarship page of the UC Berkeley Department of Classics, here. Here's a video portrait of Baltimore electronic instrument designer Peter Blasser. In the early 70s, composer (and electronic instrument designer) Gordon Mumma, notoriously introduced the notion of an "electronic folk music" and while the term "folk" has its baggage, it's precisely the kind of baggage packed so that one is forced to keep thinking and rethinking the circumstances of how the music is made, with what means, by whom and within which communities and for what purposes. One of the liveliest scenes in New Music today involves extraordinary electronic and electroacoustic instruments and music being made by artists largely independent of institutional music support and (mostly) cheerfully disregarding any amateur/professional divisions that institutional music tends to reinforce, yet absolutely thriving whether as independents or in elective communities (let me emphasize that: not folk as in kinship and ethnos, but from a coming together due to an elective affinity), gathering for workshops, sharing materials, schematics and other know-how and esoterica on-line and off and generally finding ways to be inventive with all the jetsam and ligam of our economy, which get hacked and bent into forms completely unintended by their original manufacturers. The "folk" label really becomes provocative when one considers that relationship to the broader world and how such an admixture of high and low technology comes into play, with Blasser, for example, as enthusiastic about tactility of the local hardwoods used in his keys and cases as in the circuitry housed behind them. And, too, consider, when visiting his websites, how Blasser's handwork has gone hand-in-hand to imagining a whole world around his music from the ground up, with its own idiosyncratic parameters and theory and terminology (not unlike the Anaphorian music of Kraig Grady.) At the same time, Blasser is directly engaging with the real world, founding a cottage industry in Baltimore and making broader connections (such as a line of code referencing the invasions of G.W. Bush.) And the music made with these instruments? It's really impossible to make generic descriptions; given the variability and unpredictability of the instruments and the performance diversity of the individual players a vector space of possibilities is opened up that range from the elegant and virtuosic all the way down, which is precisely the kind of depth missing from less lively Kampungs, Oblasts and Boroughs of Newmusicland with their tendency to emphasize a certain sphere of music-making at the expense of everything else. For five years, from the Summer of 2000 to the Summer of 2005, I lived in Budapest, Hungary. I was a trailing spouse, as my spouse had been assigned to teach at one of the international school there. My passport was stamped by the Hungarian immigration office with the words BEARER MAY NOT WORK, an instruction which I proceeded to follow to the letter. Not difficult. I had kids to raise, a household to run, an exotic language to learn, after all, and I did like to sit leisurely in cafes or a good Étkezde, the perfect ex-pat, eating Ruszwurm or Eszterhazy torte and reading the Herald Tribune. However, as a new music person in a city with some interesting new music activity, I tried to make some contact to local composers and players. I sent off forty-some letters with cds of my music asking not to get played (for I realized quickly that the local resources were very tight), but just to visit, talk shop, and to learn more about Hungarian new music. I got nothing, not a single response. I was, in Budapest, musically invisible. I had had performances of my puppet opera in Cape Cod, and a few things in Belgium, Germany, Switzerland and even neighboring Bratislava, I played a lot of gamelan at the local Indonesian embassy and I wrote some pieces for school performance, including a set of songs for a Brecht play, in Budapest, but for Hungarian new music, I was just not there. Once, I did get an email invitation to chat from a musicologist who had seen my name and address on an internet forum, but within hours the invitation was rescinded as the author had decided to go to Lake Balaton for the foreseeable future. I found all of this curious, but was not bitter about it because I appreciated time to work on my music without external pressure and my family did have a wonderful time there, living well in a crazy apartment in the Buda hills with a direct view, on a clear day, to Bartok's house on the side of the next mountain over. Only later was I able to put together a plausible explanation for all of this: the Cold War was not far behind and I was an ex-pat Yankee in town without any visible means of support or clear affiliations, and yes, I sat in cafes and read the Herald Tribune, waiting for that rendezvous or ready to make a drop-off at a moment's notice. The Hungarian new music scene, on the other hand, had been hurt, materially-speaking, by the change of systems: before, a recognized composer got a good teaching job and regular commissions, was published and recorded by the state music publishing companies and enjoyed a social status on par with other professionals and intellectuals. All of that had become shaky and the resources available for concertizing, commissioning, teaching, publishing and travel had all been strongly reduced while new entrepreneurial and political classes were developing which left artists and intellectuals far behind in wealth and social prestige. Although I didn't constitute any competition for these scarce resources, I must have appeared to be both part of the new order and oddly unreadable. Later I would read Harry Mathews's marvelous (non-?) fiction memoir, about being an Ami ex-pat in Europe assumed, by some, to have obviously been a spy, My Life in CIA, and realized that had I decided, as Mathews had (or had not), to have let the (fictional) appearance of being a spy play itself out by never explicitly denying being a spy, driving a faster car, wearing a good trench coat, hanging out inconspicuously in conspicuous places, suddenly dropping anonymized packages in odd containers, etc., I might well have been able to leverage the novelty of it all into a much more interesting career in Hungarian new music. I use the word "detail" a lot when talking about pieces of music. It's not a term a get from my Cagean heritage, as detail implies some hierarchy among materials which was not an enthusiasm of Cage's. I think I started using the word after hearing Morton Feldman use it, but it also could have been following Milton Babbitt who used it in describing Schenker's analytic technique as one which can compellingly describe how details both define and come from their context, belonging to particular continuities or simultaneities. Of course, a word like detail is somewhat fuzzy in the abstract, it has to be identified in its concrete context. I think of a detail as something smaller than the breadbox of a feature — compare, for reference, the distinctions we would make between the features and details of a striking face; that nose or that mop of hair is a feature, that freckle or crease a detail —, and although a detail may well puzzle or even be a nagging detail, a detail is part and parcel of a work, intimate to it, in a way that an ornament may have the luxury not to be. You can add or remove an ornament, and it may well increase value, but it will unlikely alter the identity of a work, but change a detail...? You might be removing the keystone in the arch or the yeast in the bread. A detail need not be some small but remarkable collection of notes at the surface of tonal music, it could be a small breath taken here, at this moment in particular and not another, or it could be a composer's insistence, in the score's notation, that the players of a string quartet be seated just a bit farther apart than usual. I had friends in high school who were — and some very much still are, as we're talking a Southern Californian high school — serious about their cars. They were devoted to keeping them "cherry", a condition that went beyond merely looking shiny and new. Some of them were real virtuosi at car care, both mechanics and looks, both inside and out. It was never enough to tune, clean and polish those cars, they had to be detailed, an attention to the smallest element that made the whole much more than a some of the parts. What is electronic music, anyways? I just heard that Peter Elsea, who ran the Electronic Music Studios at UC Santa Cruz from 1980 through 2013, has published the ultimate version of his studio composition handbook, The Art and Technique of Electroacoustic Music. I haven't gotten a copy yet, but from its contents it appears to be a solid introduction to its subject from an authority and a gifted teacher who has maintained a studio which continues to represent the historical evolution of its techniques from live electronic music to the manipulation of physical audio recordings through analog synthesis, the design of dedicated hardware, hybrid analog-digital systems, all the way through to computer-based digital synthesis. The publication of Elsea's book is a good opportunity to note how divergent the academic field of electronic or electroacoustic music has become. There are several large university music departments or conservatories in which the study of "electronic music" is geared entirely to the production of midi-based mock-ups of written scores. This can be useful, but it's far from a comprehensive approach to the topic, and it tends, in my experience, to be limited to gaining practical experience with a particular set of hard- and software. For other departments, "electronic music" is, or has become, synonymous with computer music. 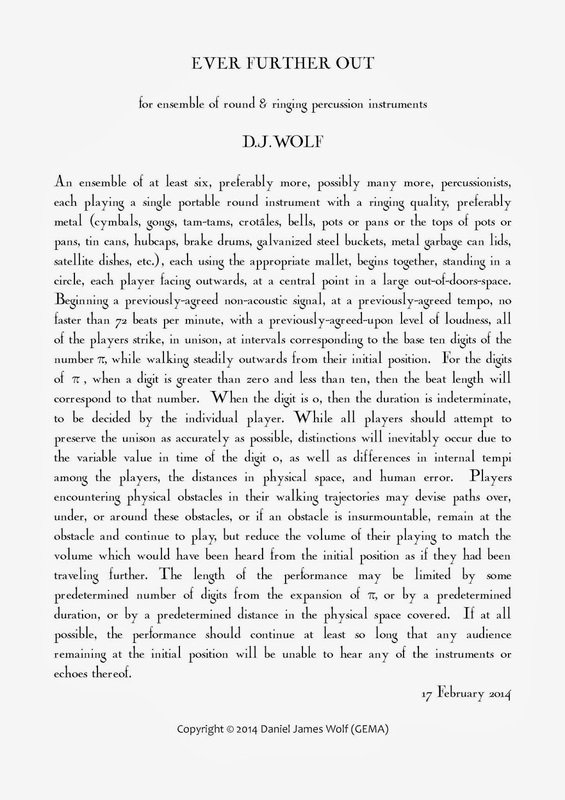 (I recently encountered the introductory textbook used in such a department, in which the first chapter begins with the arguable assertion: "Electronic music is usually made using a computer, by synthesizing or processing digital audio signal.") And there are still a handful of places where music is made from elementary electronic tools, like microphones, amplifiers and loudpeakers, maybe an oscillator or two and even the good old soldering iron comes into play for for some old-fashioned hardware hacking or hands-on circuit bending in the lively on-going extensions of the David-Tudor-Table-Full-of-Tools tradition. One of the curious results of this is that students can walk out of introductory Electronic Music classes from different schools and have practically no overlap in what they've studied. (Note that I don't believe this to necessarily be a bad thing!) Against this background, Elsea's Santa Cruz Studio has been a rather unique example of a studio representing the breadth of the field, and his students over the years have gone on to careers in sound design and film sound editing, popular music recording and production, contemporary analog and digital electronic music, and even some oddball experimental music along the way. Composer David Cope has posted a video listing — formatted like a rolling Star Wars introduction text — "100 things (he) hate(s) about concerts." Most items on the list have to do with concert ritual and etiquette, many have to do with the social environment, particularly the hygiene of ones neighbors and the auditorium, but also the inevitable social interactions, and even an isolated few genuinely musical issues. Well, yes, we can agree to hate most of these. But honestly, what does that get us and, more importantly, what's the better alternative? Even though I'm something of a recluse, an over-the-border-line misanthrope and maybe even something of an agoraphobe at that, and though I enjoy making my own music at home for my own satisfaction perhaps more than anything else, it's obvious to me there is something unique and valuable — for which the complementary activity and artifacts of recordings, mediated by technical limitations, editing, mixing, sound-designing, and fed through amps and equalizers and boosters into every variety of loudspeaker into every kind of room other than the one we once could have been, or auto, or headphone may be documentary evidence or artwork on their own terms are also no alternative — about sounds produced by live and physically-present voices and instruments in unique locations in real and interesting spaces and sharing the experience in real time with other people who have chosen to come there and then to share an event, not least in their coming together to share the potential risk that something will go wrong, even very wrong, or the opportunity that something unplanned and unexpected will go right, uniquely right, and then be lost to all but fragile memory as the last wavefronts of air-pushed-by-sound dissipate into the wider world around. The problems of the embarrassing body noises from one's neighbor, not enough light to read the program, chewing gum attached to unfortunate locations, or the squeaky and uncomfortable chair are real enough, but they are social and practical, not immediately musical, and giving up on solving them is more a symptom of a deeper social problematic than a musical one. The musician who can't manage to match the oboe's A, is indeed a musical problem, but it's not inherent in the concert as institution or event, and it is correctable. Yes, the concert, in its physical and social form and content, is very much a work in progress, and it invites, no, demands innovation and change, as, indeed it always has changed, but it is a special and worthwhile project and, for better or worse, there are complements but no musically honest substitutes. I started to write a item with this title, in response to a request. It ended up longer than it ought to have been and, in the end, was less about British music than about my inability to understand, strike that, follow much of it. Setting aside, for a moment, the reservation I have about a common passport among composers as a meaningful musical marker, I have reliably found the energy and invention among the [experimental*] and [complexity*] scenes in Great Britain often to be remarkable, and reliably more interesting than the more establishment mainstream. ** I have also long puzzled why these two factions are so often factious, when they really ought to be complementary allies in matters of musical politics and resource allocation (but then again, who should be surprised by factiousness among musicians, passionate and materially impoverished profession that it is? ), but then again, two composers I admire very much, Christopher Fox and Richard Ayres (the former also one of the better writers on new music and the latter the most astonishingly inventive orchestrator of our era, particularly his uncanny sense of orchestration as essentially a continuity rather than a simultaneity element) seem to me to be resolving any such divide in their own work quite nicely, thanks. My own natural sympathies are with the experimental scene, that described in Nyman's book (I bought a copy the year it was published), but also work that has been done since in its tradition (yes, the idea of an experimental tradition is something of a non-sequitur, but it's a non-sequitur that's been musically productive for a damn long time) as well as work that didn't get caught in Nyman's net at the time, particularly that of independents like Annea Lockwood, but my admiration for many of the [complexers] is an honest one. (As I've pointed out here before, experimentalists are also wildly interested in complexity. ***) In 1990, my summer of commuting between the Darmstadt courses and teaching English to brokers and bankers, I watched Brian Ferneyhough**** and Richard Barrett give their chalk talks; Ferneyhough's description of successive transformations of a rhythm or of couple of measures was a spooky echo of Lou Harrison describing his transformations of phrases with permutated measures, and Barrett's proportional description of his string quartet similarly recalled John Cage analyzing his String Quartet in Four Parts to me in a Houston hotel room. So while I was prepared, technically, to get into the music I found myself somewhat shut out because the actual materials used, in their acoustic character, internal relationships and external associations, were often completely opaque. (Coming from a long deep study of alternative tunings, I was also frustrated by the haphazard — in terms of sensory consonance and dissonance — approach to microtones: merely using a highly variegated pitch vocabulary doesn't necessarily lead to a proportionate extension of pitch relationships.) I was also troubled by the distinction made between accurate and "faithful" interpretations of the notation. But mostly, it was a very strange, if not foreign, way of putting tones after one another and together. I couldn't follow, but I'm still trying because I'm still fascinated. * contentious terms resting in hard brackets: [ ]. ** no, I can't take the 20-minute Proms piece seriously. And yes, Thomas Adès strikes me as a Wolfgang Rihm-ish figure, an amiable, musical guy, who is extremely fluent at a kind of approximation or simulacrum of serious modern music, but not music I can personally go into any depth with. *** see, for example, this essay (scroll down a bit) by David Feldman on some of Tom Johnson's music. **** Anyone else tried reading the new Lois Fitch monograph on Ferneyhough with an e-reader? Above and beyond the surprising amount of text dropped or otherwise corrupted, it's disappointing because much of the action in the music under discussion, even when that music celebrates its own less-than-clear character comes about from a small body of techniques that could be described much more clearly. I would think that a very useful little book could be written setting aside all of the broader cultural themes which have engaged the composer and just describing a number of F's techniques and considering their potentials, alone and in combination, in real musical contexts. And yes, please, let's get rid of this "irrational time signature" business!